I can’t believe it’s been three months already! We’ve had a whole quarter of a year with our tiny girl and our hearts are just getting fuller every single day. 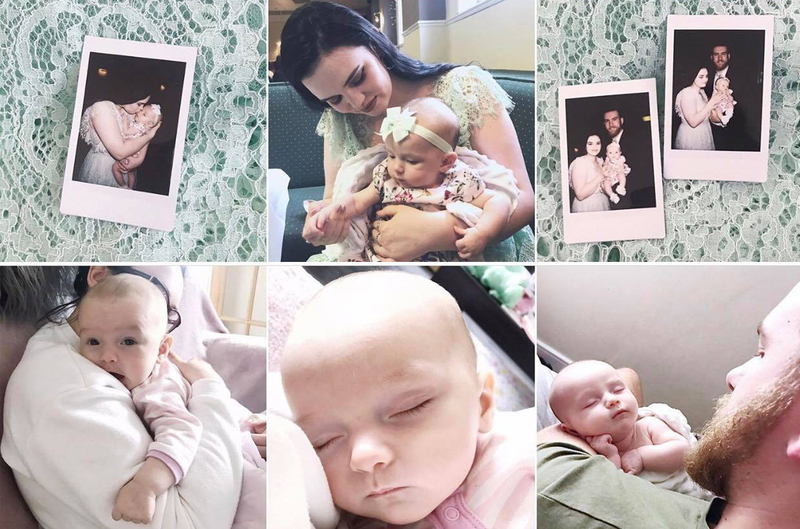 This month has been a mixture of highs and lows as we’ve had a bit of a poorly girl but she’s still be treating us to lots of smiles and beautiful moments including her first giggle that I caught on camera! Eve has such a funny personality and she constantly has us laughing, even in the middle of the night when we’re struggling to stay awake during her feeds. 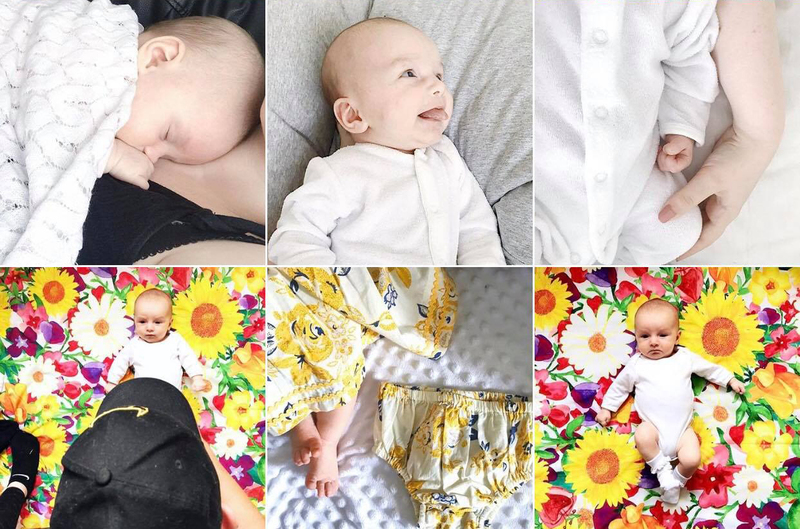 It’s been the month of hand-holding, tear wiping and getting stuck underneath a sleeping baby just so she can settle to have a nap in the daytime. I’ve made the most of every single cuddle whilst she’s still a little dot! We started with the aftermath of Evangeline’s first lot of injections, it’s safe to say that I’m not looking forward to any future ones! 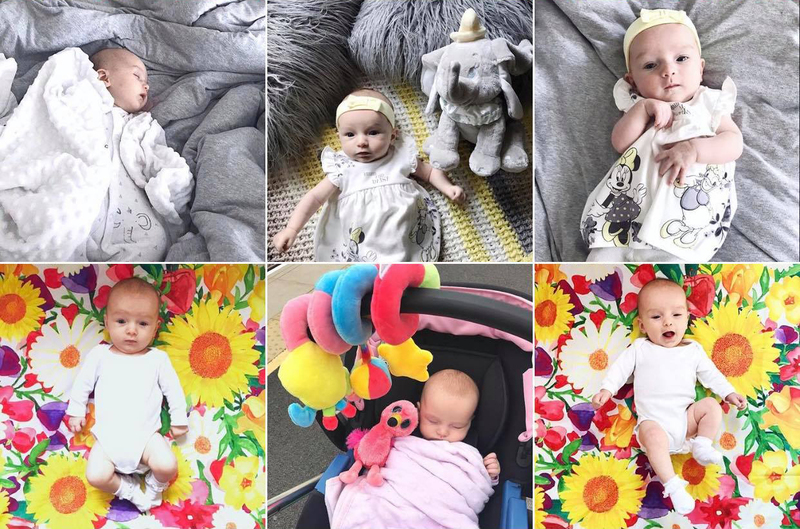 Obviously, it was important for her to be immunised and able to fight away lots of nasty bugs but the few days afterwards were extremely emotional. She managed to perk back up a few days later and we were faced with our biggest test so far as parents – the biggest poo explosion we had ever seen. Thank god it was Pauls day off because it was definitely a two-man job to sort out and I wouldn’t have even known where to begin. We had to wave goodbye to one of our favourite sofa cushions that was incapable of a wash and we went through a whole packet of baby wipes just to clean our living room floor (thankfully it isn’t carpet). We had our first big event as a family! Our friends Lauren and Craig had the most beautiful wedding and we were honoured to be guests, it was so lovely to be able to take Eve with us too. We still had a few friends that hadn’t met her at this point so we killed two birds with one stone and everyone absolutely adored her. She loved the attention and even had a little dance! We received her dress as a present at her baby shower and I couldn’t wait to put her in it, I even managed to buy a matching jumpsuit just for the cute-factor. And although I panicked that she was either going to poo or be sick on the brides dress she was good as gold and kept all of her bodily fluids to herself! Evangeline has been doing so well with her bedtime routine and we’ve pretty much got it down, we went from having to wake her up 3 times a night for feeds to now leaving her to sleep and she manages a good 5-6 hours before she wakes up! She understands when it’s time to go to bed and settles down really well in her crib – as long as she’s with her best friend Ewan the sheep. 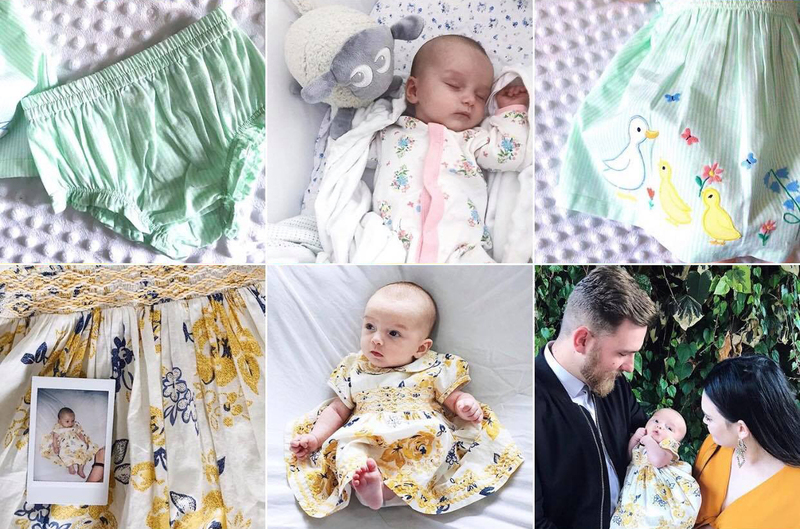 And after 2 and a half months living in Tiny Baby, First Size and Newborn our girl has finally gone into 0-3 month clothes. Her head is finally big enough to wear headbands which make me want to cry whenever we put one on. I can’t wait until we can get her hair tufts into bobbles once it’s long enough! After the wedding, we were confident about our next event as a family and we had purchased Eve’s outfit for a family Christening. I decided to match her dress once again and Paul even bought a matching coloured tie so we would have nice photographs. The morning was a rush and we didn’t manage to get a single photograph of her in her dress and at the church service she stayed in her car seat wide awake but didn’t make a sound so there was no need for us to get her out! Everything was going perfectly until we went to get her out of the car into her pram and realised that she had pooed through her nappy, knickers, tights, dress and cardigan before anyone had properly seen her. Fortunately, I had packed a spare dress but I spent the rest of the day panicking as I had no more spare clothes for her and we were screwed if another explosion occurred. The most difficult part of the past month has been the start of Evangeline’s teething journey. At not even three months old she was starting to cut teeth and has been really struggling, along with Paul and I as we can’t do anything to make the discomfort go away. She’s too little to be able to hold anything in her hands properly (unless it’s a handful of my hair that she refuses to release) so toys are out of the question. Most teething rings are too thick for her mouth so it’s been hard to find something to help her stop chewing either our hands or hers! She’s also been going through her 3-month growth spurt and no longer classed as a newborn. 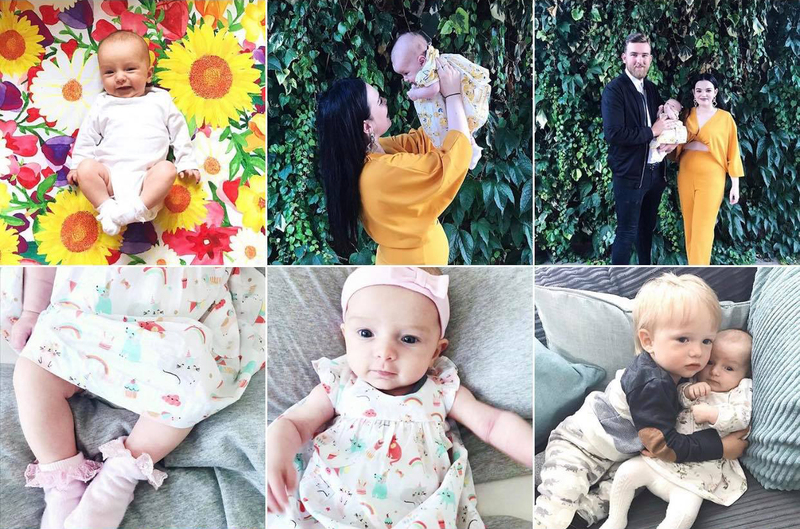 Major points to Paul and I for getting through the first three months as we were told by everyone that they can be the hardest, especially with it being our first baby! 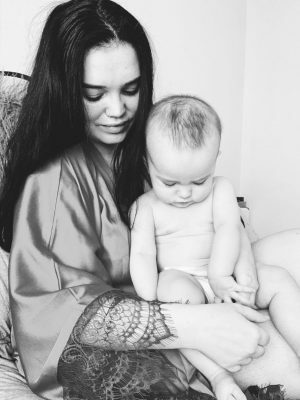 I’m sure we have many more obstacles and hurdles to overcome when it comes to raising a baby and we’ll never be prepared but we’ll continue to crack on and keep our tiny human surrounded with love! "FASHION WEEK FAVOURITES – NEW YORK – MARC JACOBS – READY TO WEAR – SPRING/SUMMER 2019"